Please remember to vote for the recycled tree you like best at JGs. Voting boxes can be found in the Creative Quarter Folkestone at the Visiter Centre on the Old High Street, Home Ground, Googies, The Cube, Chimera Gallery, The Quarterhouse and Andy’s Fish ‘n’ Chips. Please deliver your artist made tree to (JGs Amusements) 3-9 Tontine Street Folkestone today (10th December) between 2pm -4pm. Thank you! 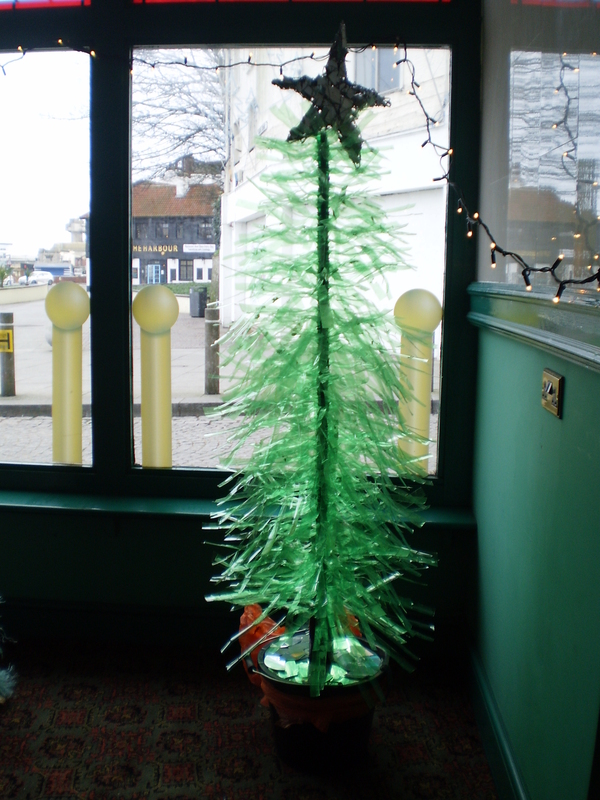 Recycled Tree made by Sioux Peto from green plastic bottles. Voting will take place on Dec 10th during the Creative Quarter Open Evening. You are currently browsing the paints.uk.com blog archives for December, 2009.